Now that summer is past, it’s time to bring everything back inside before winter makes an appearance here in the Maryland/DC area. Problem is, there always seems to be more stuff and less room. Not to worry. 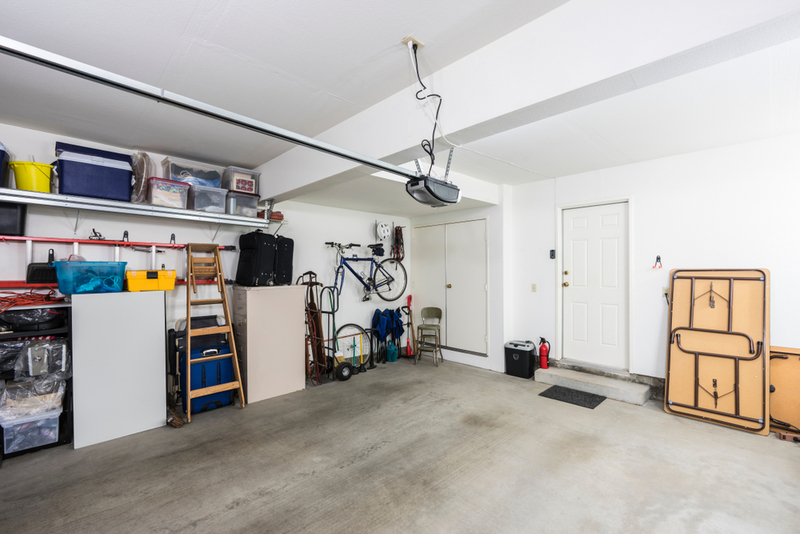 Here are five tips to make your garage storage work smarter than ever before. Instead of stacking everything in the garage, look up to utilize forgotten space overhead. Kayaks can be easily stored on wall brackets, freeing up precious floor space. Another idea is to mount an cleverly designed rack made of pressure treated lumber and PVC tubing to create an out-of-the-way storage spot above your car. Other overhead storage options include ceiling mounted bins and storage cabinets for those items that don’t see much use. Overhead is also a good choice for storing seasonal items which can easily be traded out when the next holiday or season rolls around. Bicycles can be stored on ceiling mounted racks and easily put into place (and back down again) with the use of pulleys. No more bikes falling into each other and against the side of your car. With a few brackets and simple hooks, the bikes are up, up and away until spring. Sometimes in our quest for the best and brightest, we forget old favorites that have stood the test of time. Today’s pegboards aren’t the old pegboards that lined your grandfather’s garage walls. Modern pegboards are constructed of steel and made to last, without bowing, splitting or peeling. Paired with stainless steel hooks, these boards not only perform better, they look fantastic. Check out Wall Control for an array of sizes and options. Here’s an easy-to-do-today smart storage idea for shoes. Instead of lining shoes up next to the door leading into the house, mount a shoe storage rack to the wall next to the interior door and free up valuable floor space. Want to go one better? Add a small storage bench you can sit on to remove shoes and store house shoes or slippers inside the bench for easy access. You’ve seen slat walls in your local store. Comprised of horizontal slats, the wall structures supports a variety of shelving and hooks that can be changed and customized to accommodate your changing needs. Sleek and simple, the look is minimalist and clean. If these concepts appeal, but the execution needs help, contact a local remodeler to install the framework you need to create storage space out of thin air, and you can decide exactly how to customize for your needs today.